If you don’t like to fish … we will raffle it off for you. 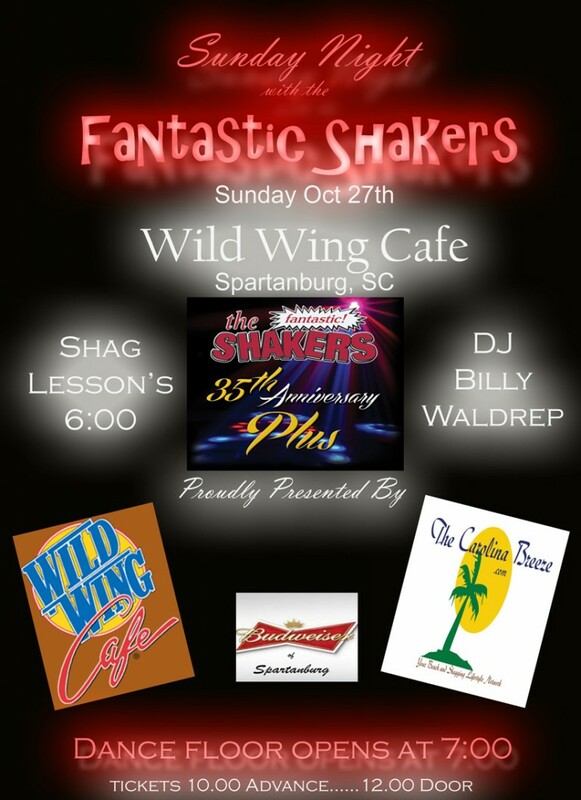 Is one Event you don’t want to miss ..
Tickets and Details in the Shaggers Hall of Fame … Lobby outside of the Spanish Galleon – Look for Julian B Fowler! 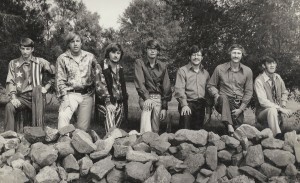 Thank you Pam with Jim Allen Photos. 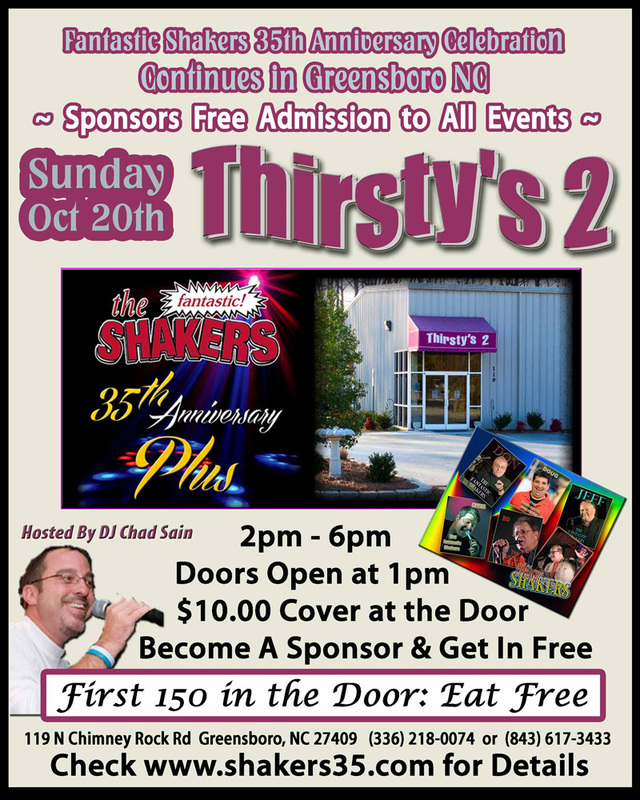 October 20th in Greensboro, NC at Thirsty’s 2! Thanks to Pam with Jim Allen Photos for a lot of great photos once again! What a day we had! If you were there, I know you had a good time! 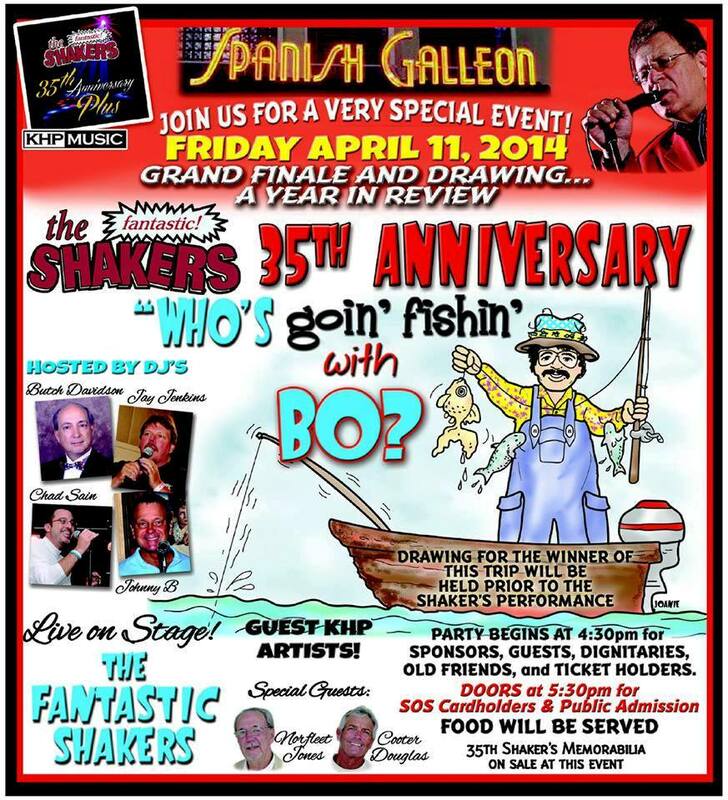 Once again Congratulations to Bo Schronce and the Fantastic Shakers on 35 great years of giving us the music and entertaining the beach music community! 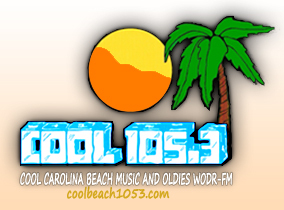 We had a great time in North Myrtle Beach at the Triple CD Release Party. Thank you so much to all the sponsors and event partners that helped support this party. The CDs are getting a lot of awesome feedback. We hope you enjoy your CDs and the music of the Fantastic Shakers. 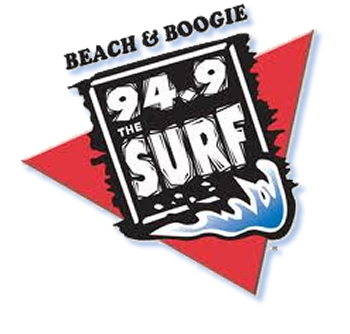 Look for the Triple CD set in your favorite beach music shops soon. Not a sponsor? Sign UP today! You can purchase The Event Tickets on this website. 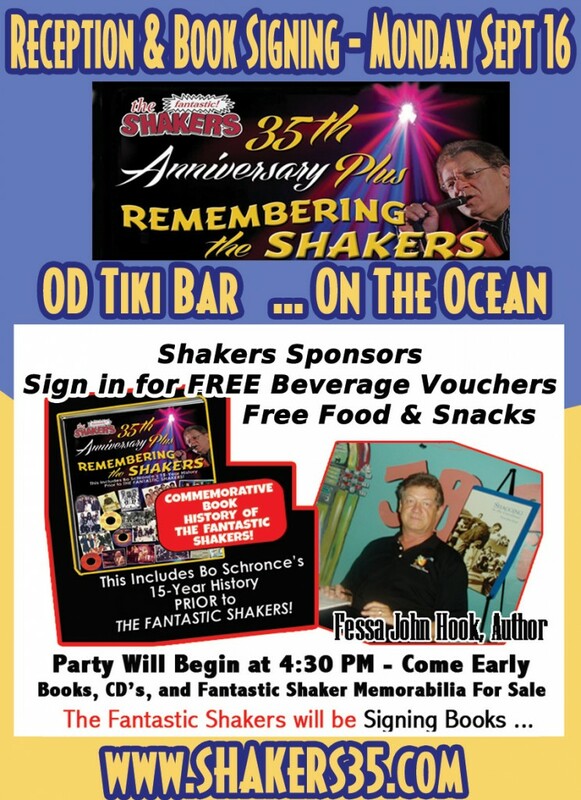 Thank you all for coming Saturday night to the Fantastic Shakers 35th Anniversary “Kick-Off” Party at the Belmont Moose Lodge. WOW!!! What a party! GREAT Crowd! 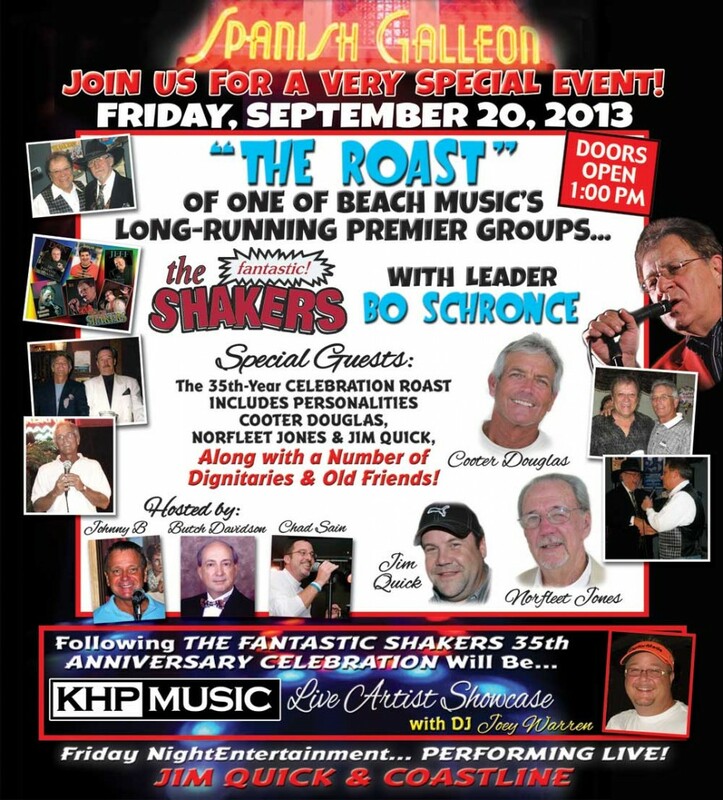 This is just one of 14 events being planned for The Fantastic Shakers 35th Anniversary celebration. 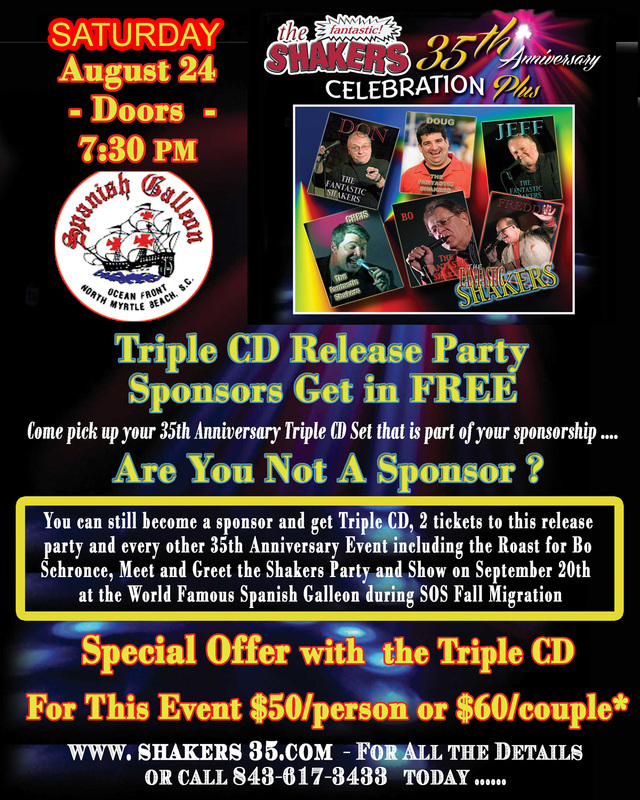 Please click over and become a sponsor to attend all the remaining events for free. Thank you again for making this such a great party!! Bo Schronce was surprised to see such a big crowd in Belmont – Let’s make the next one even bigger! 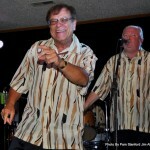 Special Thanks to Pam Stanford with Jim Allen Photos – The pictures you took are great! 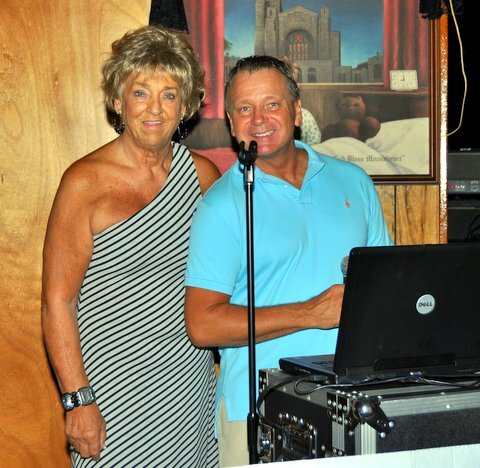 Click to see pictures from the Kick-Off Party in Belmont with the Fantastic Shakers. Need Real Estate Services in Catawba Valley and the Charlotte Region? 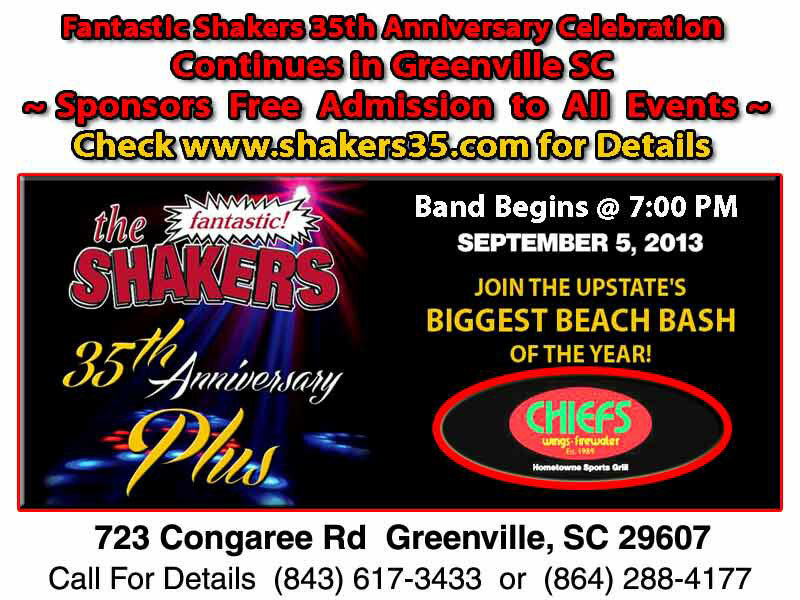 You also get your name on the Shakers35.com website as a sponsor.. if you want a link to your business website or facebook page, let us know! 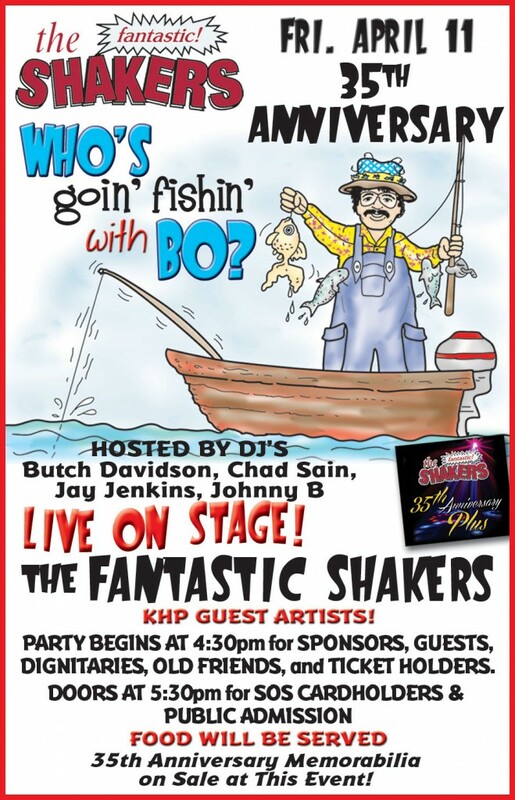 you get a chance to win a Fishing Trip for 4 with Bo Schronce himself. every time you go to en event as a sponsor, you get another chance to win. You have to be a sponsor to get a chance at the drawings. 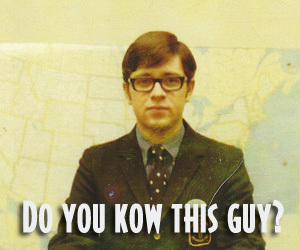 We got into some of the old pictures Bo Schronce had in his vaults. Besides Bo, Can you name any of the rest in this picture? 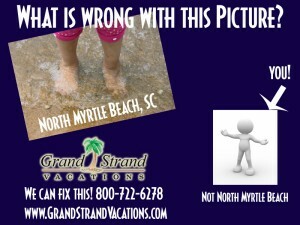 You can click on the image to make it bigger! Congrats to you all for 35 great years of music, and here’s to another 35! !